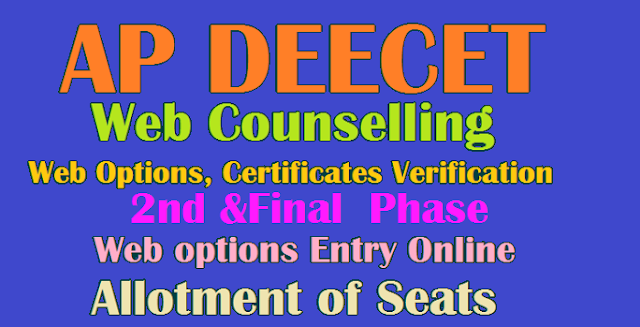 Andhra Pradesh District Institute of Education and Training (DEECET), has conducted Common Entrance Test for the academic year 2017, and those who have qualified DEECET 2017 exam are supposed to check the status towards Counselling Dates for Stage I & Stage II for admission to D.Ed Diploma in Elementary Teacher Training Institutes. 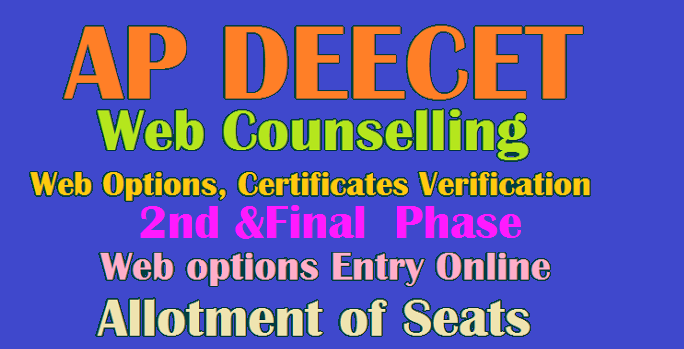 Counselling schedule for Andhra Pradesh seat allotment merit list for phase 1, Phase 2, DEECET Rank Category has been declared for admission into 2 years Diploma in Elementary Education course 2017-18, web counselling commence to start from and the further information is available on the official web portal. So the aspirants who have participated and considered qualified have to ensure all the web counselling dates, and provide options for AP DIETCET Counselling Schedule 2017 and web option, dates, seat allotment, rank-wise merit list, category are given here. AP DEECET 2017 #2nd phase of seat allotments. 4. Issue of Provisional letters of admission.